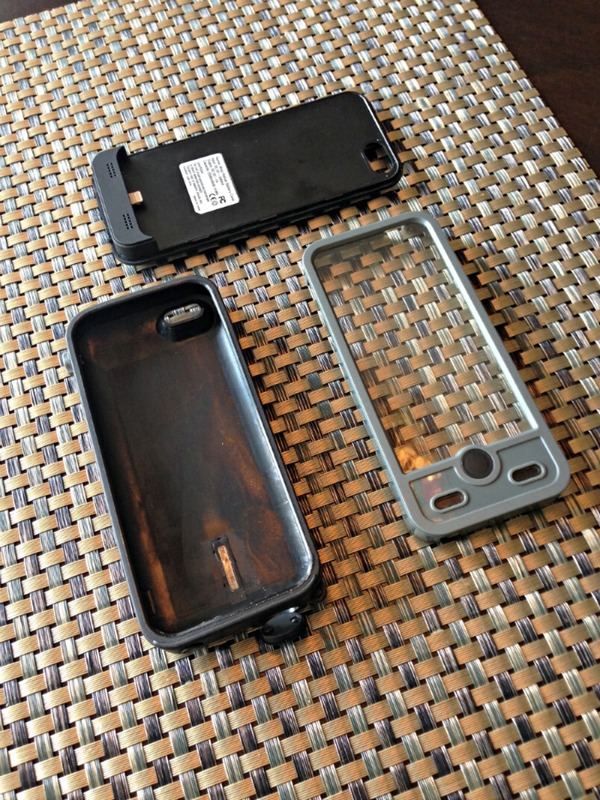 A few months back, I heard of ibattz and a new kind of case they made for the iPhone. A new case is something big because there are so many interchangeable iPhone 5/5s cases out there it's ridiculous. The name of the case that I heard about was the Mojo Refuel Aqua. The thing that made it different was that it was a battery case PLUS it was water, shock, and dirt proof! I am familiar with battery cases but I never owned a case with that extra level of protection before. I couldn't justify the extra bulk it added to my phone. However, when you combine those two features, everything changes. 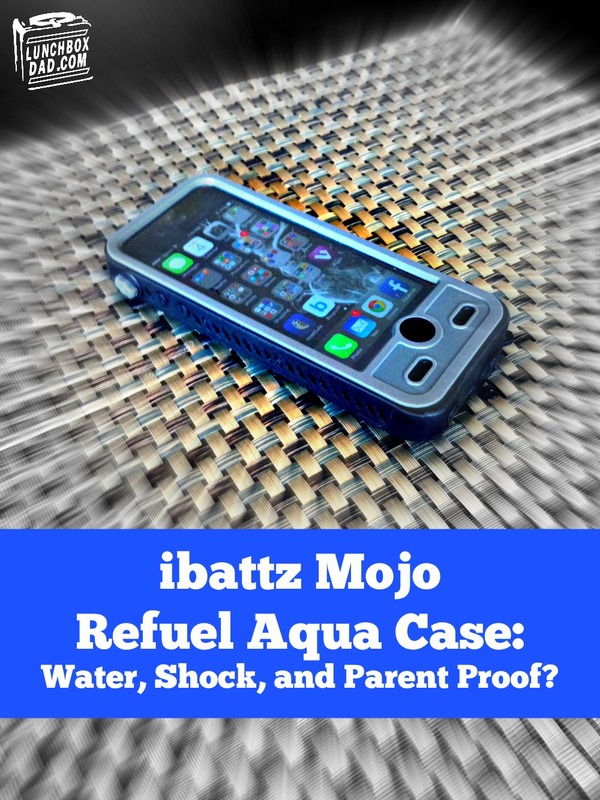 The promise of the Mojo Refuel Aqua lured me in and ibattz soon sent me the case and a number of other items that I cannot wait to tell all you parents about. The Mojo Refuel Aqua has been billed as a great case for outdoor sports, underwater fun, and relaxing days at the beach. The features, however, make it the perfect case for the roughest sport of all...Parenting! I tested the case in hazardous parent situations and here is what I found. First of all you need to know what is included. You get the battery case (back), battery itself, waterproof top case, waterproof outside case, headphone adaptor, micro usb charging cable, plastic bumper, and manual. To install, you basically slide the phone on the battery case, put the waterproof top over it, then fit it into the waterproof sleeve and make sure it's sealed. After I took it apart and put it back together a few times it really was a snap. The included bumper is very nice because if you don't need the extra protection all the time, you can just quickly remove the waterproof parts and snap the bumper on. It takes all of 20 seconds. It is important to read all the instructions to test the case to make sure it is waterproof before you use the phone in it. The size of the Mojo Refuel Aqua and Mojo Refuel Armor do add a bit of size. 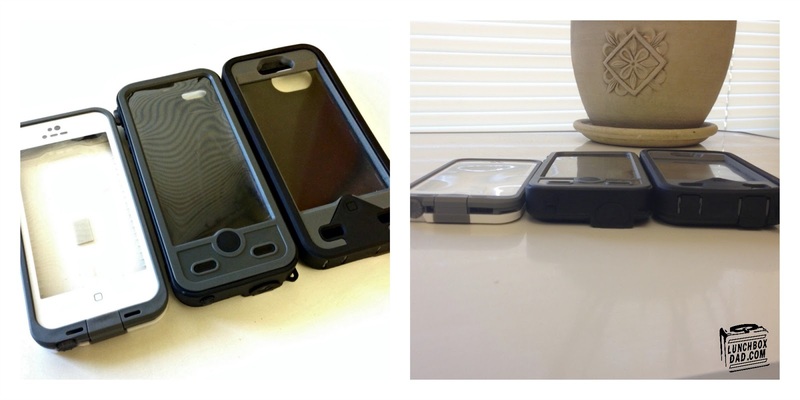 In the picture below you can see the size of the Aqua (middle), Armor (right), and the competing Lifeproof case (left). 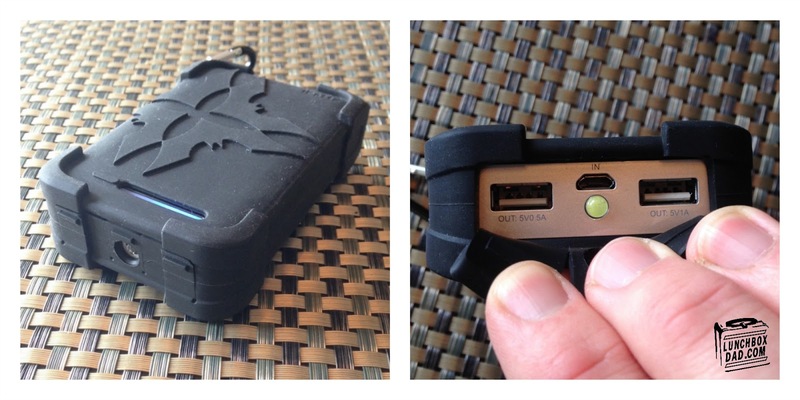 Both ibattz cases can be fit into a belt holster (sold separately). One of the most common types of damage that happens to parent's phones is drops. You are in the parking lot and it falls on the ground, or your child is watching a show and it cracks on the floor. The Mojo Refuel Aqua offers "medium" protection against drop and the Mojo Refuel Armor gives "heavy" protection against drops. I did have light drops with each of these and they handled them no problem. The hardest drop was with the plastic bumper installed. The phone slipped out of my pocket onto a concrete floor and it was fine. Even though the cases added bulk, I felt much safer with my phone in them. The big deal with the Mojo Refuel Aqua is obviously the waterproof feature. Below you will see the video I shot testing it out. Besides the obvious function of accidental dips in the pool, I love that you can actually wash the case off (with the iPhone in it) when food, dirt, etc. gets on it. This always happens with parents and it easily cleaned off under running water! As you can see, the Refuel Aqua stood up to the tests. It is IPX8 certified meaning it can stay in up to 6.5 ft. of water for up to 60 minutes. You can can also use the camera function and touchscreen while underwater. The battery function was also very important to me, as it is to many parents. If you are out and about, it is not practical to have a phone battery die on you in the store, at the playground, etc. The iPhone is notorious for poor battery life. I found the ibattz Refuel to live up to its claim of charging to 100% from 15% battery life. You can also switch out the battery for another one. It is easy to turn on the case battery, just press the button in back. A blue LED will show you how much juice is left. A separate charger, the I9300 Powerbank, can be purchased to use with a second battery. I tried it out and, while it was easy to use, it worked fine but seemed to take awhile to charge. This charger can plug into any regular USB outlet. The interesting feature of this is that it can be reversed and used to recharge other micro USB devices as well. So all of these features sound great, but what are the drawbacks the the Mojo Refuel Aqua? With the case on, the screen is not quite as responsive as I like it to be. You have to press a little harder on the keys, which can get a bit annoying for long text messages. The screen cover for the Mojo Refuel Armor seemed a little more sensitive. Also, the sound can be muffled when talking on the phone. You can improve the sound quality by opening the bottom ports. This technique seemed to help others hear me better, although its not always the most convenient thing. The other drawback is the price. At $120 the Refuel Aqua is one of the more expensive cases on the market. However, it is cheaper than a new phone and has more features than most other cases. 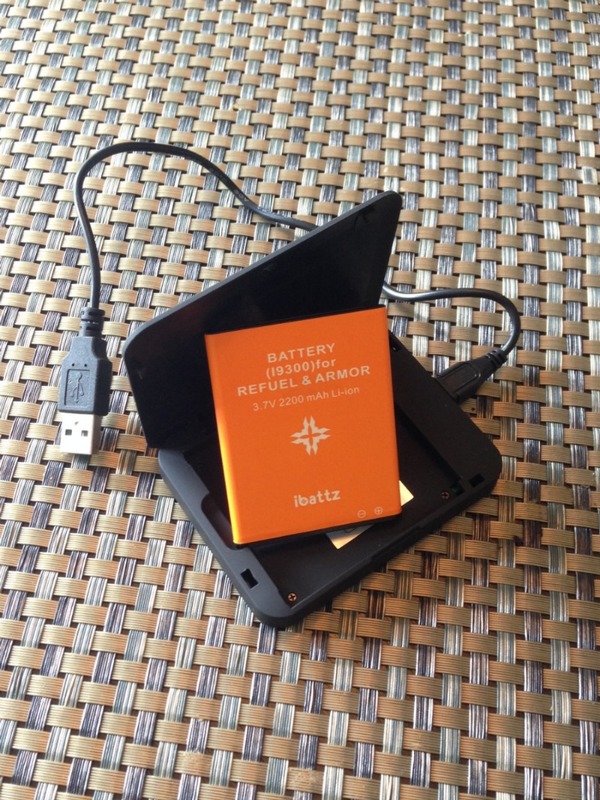 If you don't want the waterproof feature the Mojo Refuel Armor with battery is only $90. The company also sent me their Mojo Powerstation Tough Dual Pro to test out as well. This is definitely the most protected external battery I have ever seen. This would be great for parents if you are camping or outside for extended periods of time with your family. The best feature of this is that it can charge two USB devices at one time. If you are a parent who is rough on their electronics, this is the external battery for you. Although they aren't the most well known company in the cell phone market, I have found their products to live up to the hype. This is the only case in which I would add size to my iPhone because you get protection from almost everything PLUS the battery. For me, that is the key. If you are a parent looking for all these features, go to ibattz first. You can find them online at www.ibattz.com. Disclosure: ibattz sent me their products to review. I have received no other compensation for this post and the opinions I’m expressing here are solely my own.